One of the biggest audiences ever at the Pyramid Stage sees the Labour leader offer a message for US President Donald Trump. Labour leader Jeremy Corbyn made an appearance at Glastonbury this afternoon (24 June), to one of the biggest crowds in the festival’s history to ever attend the Pyramid Stage. 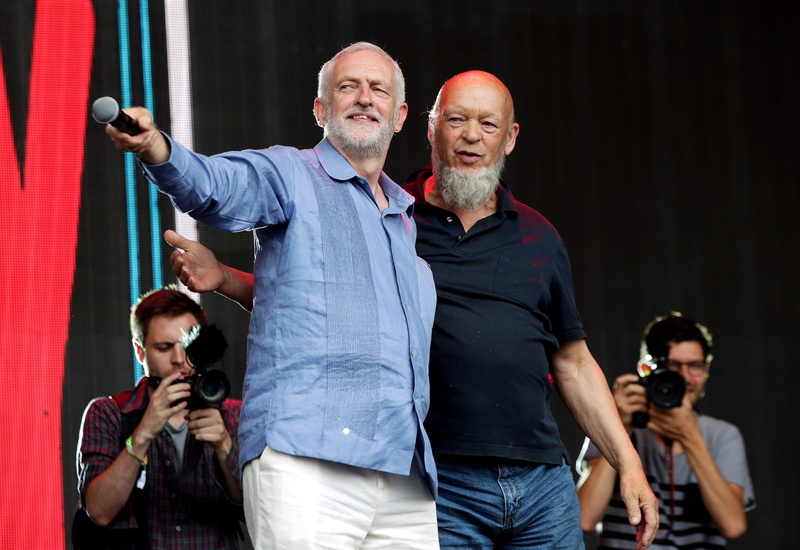 The Leader Of The Opposition appeared on the main stage before the US hip hop supergroup Run The Jewels, and paid tribute to festival organiser Michael Eavis, while offering some advice for US President Donald Trump. Corbyn took to the stage with the now-familiar chant of “Oh, Jeremy Corbyn” to the tune of Seven Nation Army by The White Stripes. Corbyn told the crowd: “I want to say thank you to Michael for lending us his farm, for giving the space all those years ago, for people to come here and enjoy music, enjoy good company and enjoy inspiring thought. Michael, you’ve paved the way for the space for all of us. Pointing the the perimeter fence at the back of the Green Fields, Corbyn went on: “And if you can see that far, look on the wall right over there, that surrounds this wonderful festival. “There’s a message on that wall for President Donald Trump. And do you know what it says? 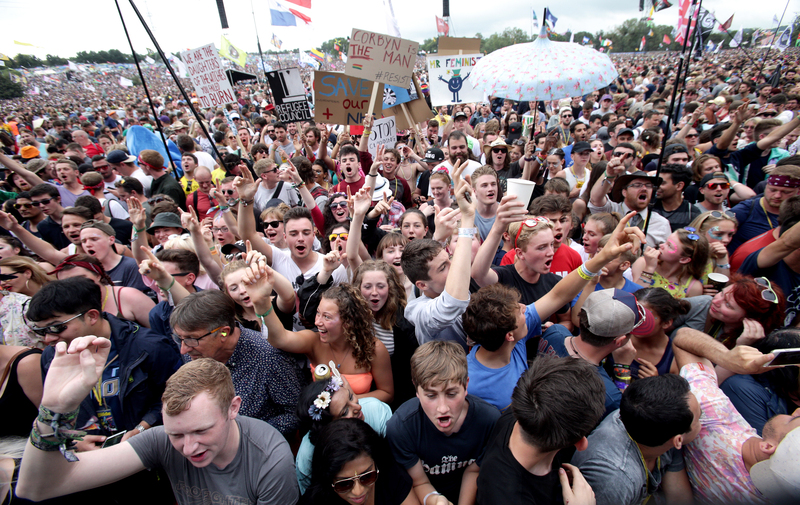 It’s thought that the crowd for Jeremy Corbyn was one of the biggest to congregate at the Pyramid Stage in Glastonbury history and people were still making their way out of the area a full 20 minutes later. 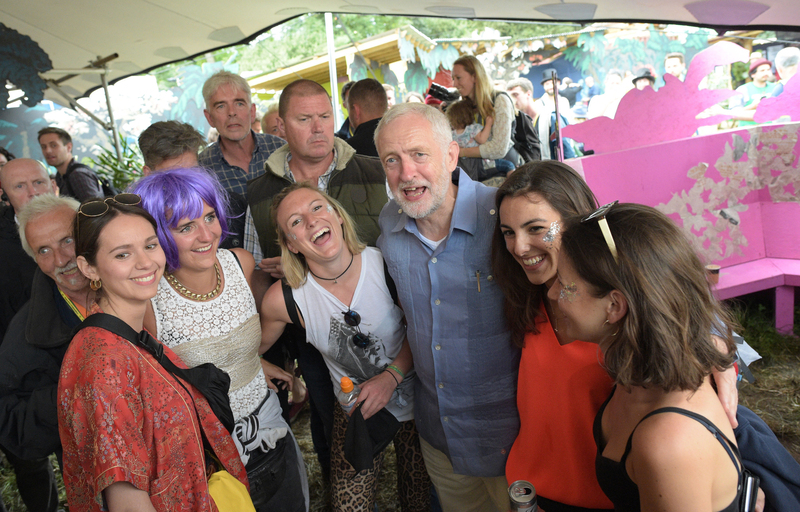 Before the speech, the Labour leader had visited the Greenpeace area of the festival site. Glastonbury continues with Foo Fighters headlining tonight (24 June) and Ed Sheeran closing the festival on Sunday evening.